Several years ago I purchased a quilt top on eBay. The seller said that it was from a Pennsylvania farm auction, and made by an Amish woman. I have no idea how I could prove that to be be true but I do know that I have been putting off quilting it forever. After I finished the Tree of Life quilt I began to think of making a full sized whole cloth quilt and this quilt top came to mind. I have no Idea how old it is but the marking is done. I know that the marking is very difficult to see in the picture because it is pretty faint. 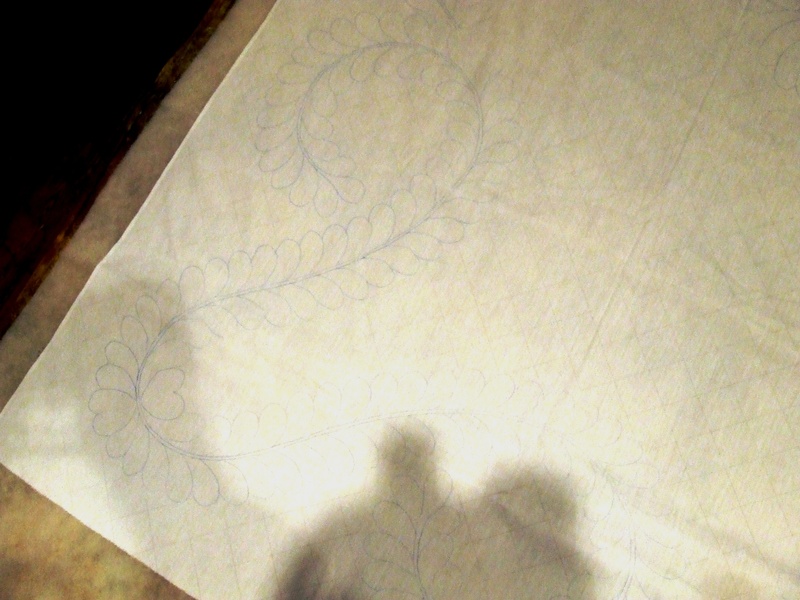 The maker used a blue pencil to make out the feathers, and a regular pencil to mark the gridwork. It would be nice if there was not a seam down the center but I can live with it. I purchased a backing fabric at AQS this summer and also a supply of wool batting so I had all I needed to get going on it…and I am currently excited about whole cloth so its a good time to start. What I have heard before, and now know to be true!, batik fabric is hard to quilt!! 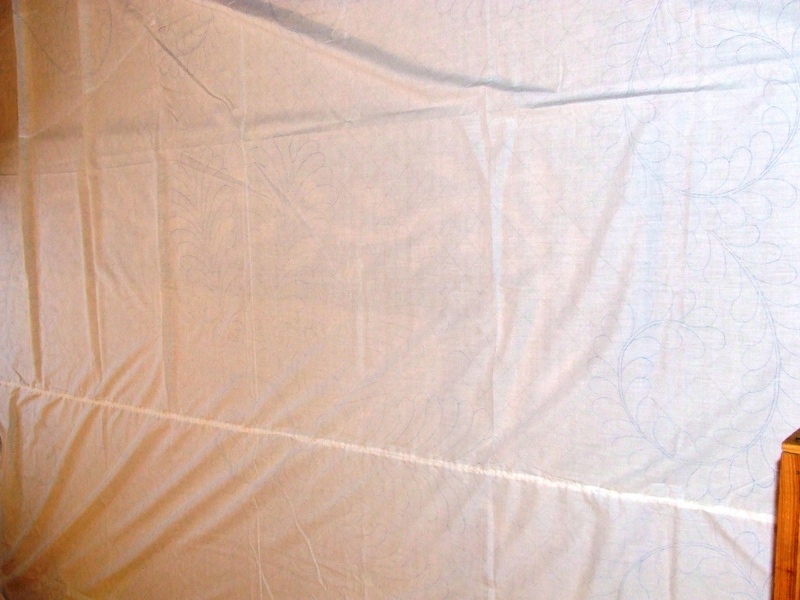 This is not going to be a fast quilt to finish …the last one was muslin, front and back, the needle glides through like a dream….not so with batik. I think it will be worth the effort. 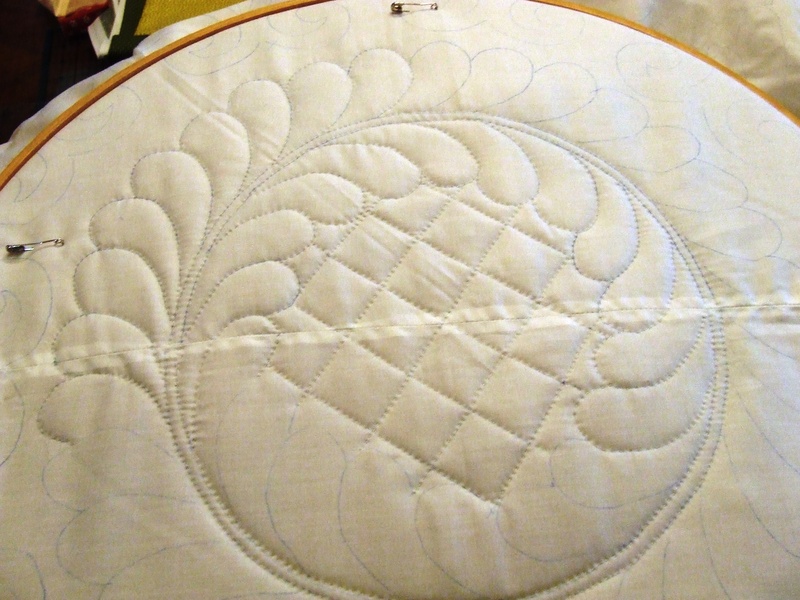 I am using Hobbs wool Tuscany Batting, and YIL thread with a #11 between needle and an 18″ quilting hoop. 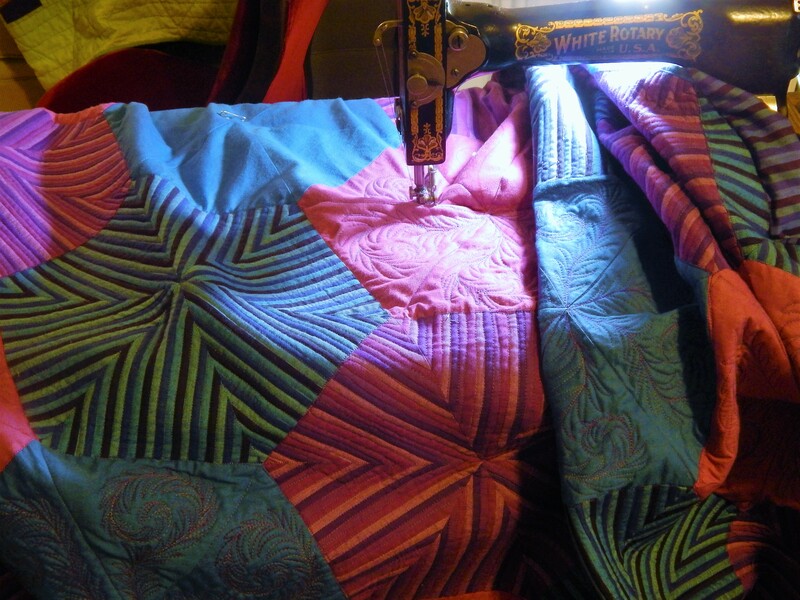 This entry was posted in Quilts and tagged hand quilting, Quilting, Quilts, whole cloth quilt. Oh my, that’s going to be another winner! Done by Tuesday? Your blog is so inspiring! You make me want to sit and hand-quilt all day long!! thanks!….But hand quilting all day long has its drawbacks!…..I need a maid!! I cannot believe how much you accomplish, and how quickly! Amazing. 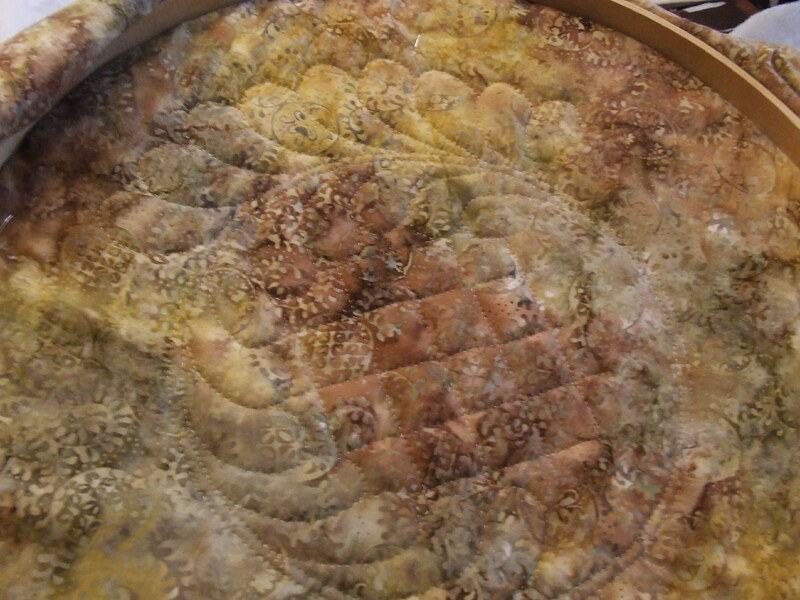 The quilting is gorgeous on both sides of this beauty. I was wondering if you might not use the backing for the front but the nice thing is, you will be able to use either side as you wish! 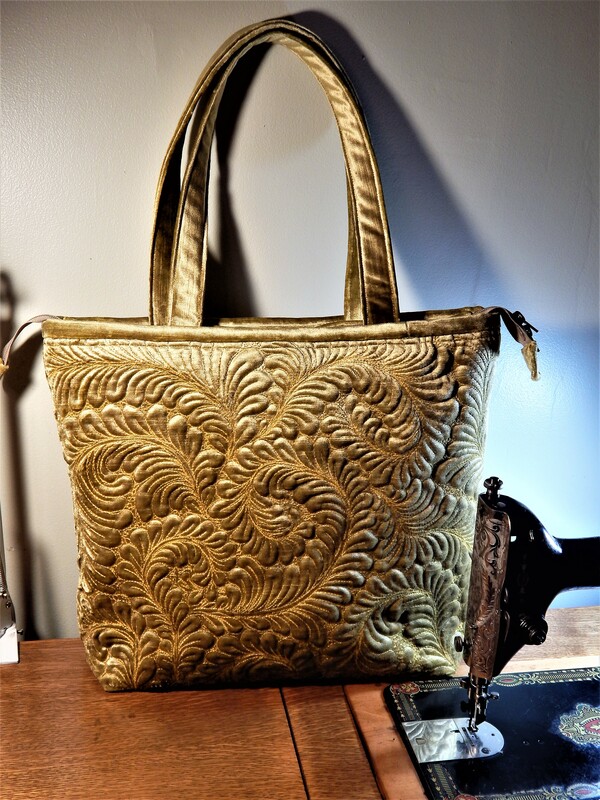 With batiks, the needle choice can make a difference. If you have a different brand around, give it a go to see if it improves the experiance. I find that if the batik is only on the top the hand quilting isn’t too bad. I think when it really causes problems is when it is the backing. This quilt is going to be beautiful. You are definitely inspiring me to do a whole cloth some day. 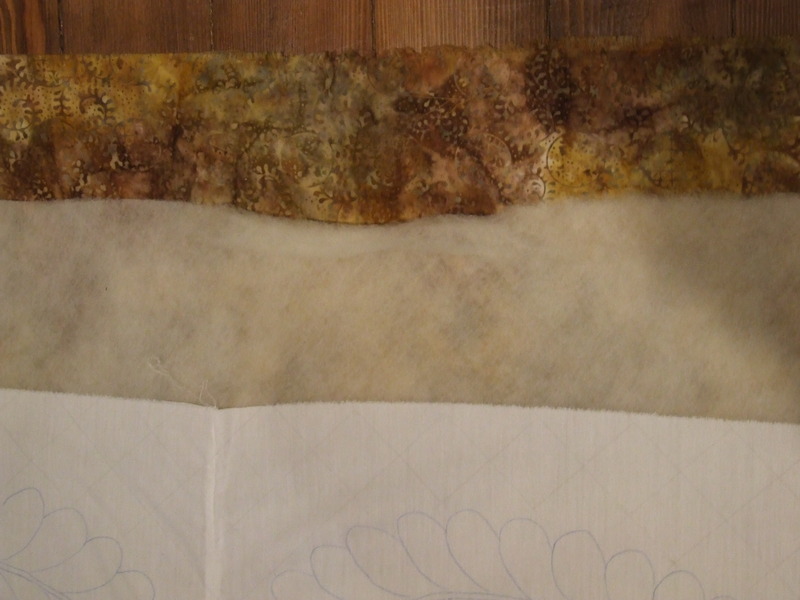 if I could I might try turning it over and quilting it from the back (but I do need the markings) this is my first time using batik so I am learning to adjust as I go….but not sure I will use batik as a backing again…. hahahaha….I sometime do need to remind myself that I need to do other things….but yes I do find time to eat and sleep…perhaps not enough…. Beautiful quilting! I don’t use batiks much anymore…too tough on the hands! Lovely design. Are you using a single layer of the wool batting? How does it compare in loft with your other favorites? I’m curious about hand quilting with it. Thanks. By the way, visit my blog if you get a chance… there is a photo of the Best Hand Quilting award winner from our recent guild show. 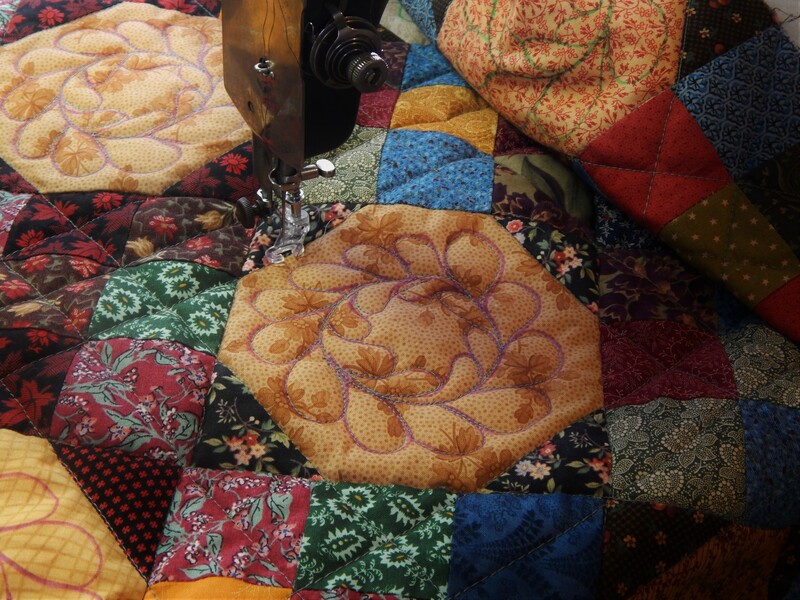 The quiltmaker replicates vintage quilts, and does all hand work. Exquisite. It looks beautiful! How big are your squares in your gridwork? Is wool harder or thicker to quilt through?